Technology continues to seep into every aspect of our lives, and our living spaces are not spared. If you have held out from introducing smart devices in your home – here are a few that you should consider. These items can alert you to danger or trouble in real-time and potentially save lives. The following smart items can greatly impact the safety and security of your residence. Doorbell: Video monitoring doorbells alert you when motion is detected at your door. Think about it, a thief is probably not going to ring your doorbell, but you can still be alerted if there is a presence outside of your home. Most of these devices allow you to speak directly into your phone and your voice will be projected through the doorbell. Not only does it look like someone is home, but a potential thief knows that they are busted. You can be sitting at your cubicle at work, get a notification that there is motion outside your door on your smartphone, access the video and assess the situation immediately. This has actually prevented people from stealing packages on the front porch and attempting to break in. Flood detection: These are devices that are placed on the floor in spaces that are likely to see flooding. Think laundry room, basement, and near the dishwasher. If you run your washer or dishwasher when you are not home, these can give you great piece of mind. You will be alerted if water trips the sensor. If you use these in your basement, you can have piece of mind knowing that if a flood is starting, you will be alerted immediately and have the chance to correct the problem before it gets out of hand. Smoke/Carbon Monoxide Detector: Pay special attention when you are researching to bring these into your home. There are actually smart devices with the detection technology, but there are also smart devices listed as “listeners.” A “listener” will need to be placed by your existing (old school) devices. If one of these devices trip, the listener will trip and send you a notification on your phone. Contact Sensors: Place these on your doors and windows to be alerted when one is opening. These sensors can even be labeled so you know exactly which door or window broke the sensor (ex. basement egress) – keep in mind that most of these sensors tie into a home security system. Smart Home Security System: Pay a monthly monitoring fee and get piece of mind. You will be alerted in real time to any device that is tripped when you are in “away” or “sleep” mode. In addition, emergency services will be automatically contacted. This will increase response time and can save your home in the event of a fire, burglary, flood and more. Many times, all of the above devices can be tied right into the home monitoring system and app on your phone. 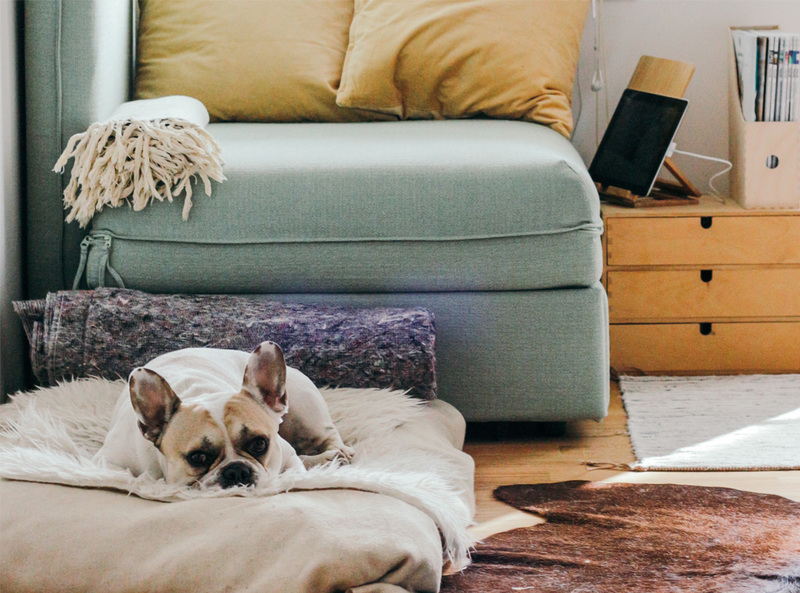 Sure you have homeowners insurance, but with the ability to detect – and even prevent – claims with the help of this new technology, you can keep your rates lower and have a real-time snapshot of your home at any given time. Be sure to reach the smart home devices out there to find the best fit for your home, lifestyle, and budget. I am still not onboard with having devices that listen to every word I say – am I still trying to protect some sort of privacy in the twenty-first century, but I introduced a home security system (without voice detection) outfitted with all of the devices mentioned above, and it gives me great confidence knowing that I have an eye on my home at all times – especially since I have pets in the home. I get real-time alerts and notifications – I even know when my power goes out because my home security system tells me it has moved to battery back-up. I have piece of mind knowing I have an eye on my home even when I am away. For questions regarding your homeowners insurance or coverage, please be sure to reach out to your Miller-Schuring Agent today!